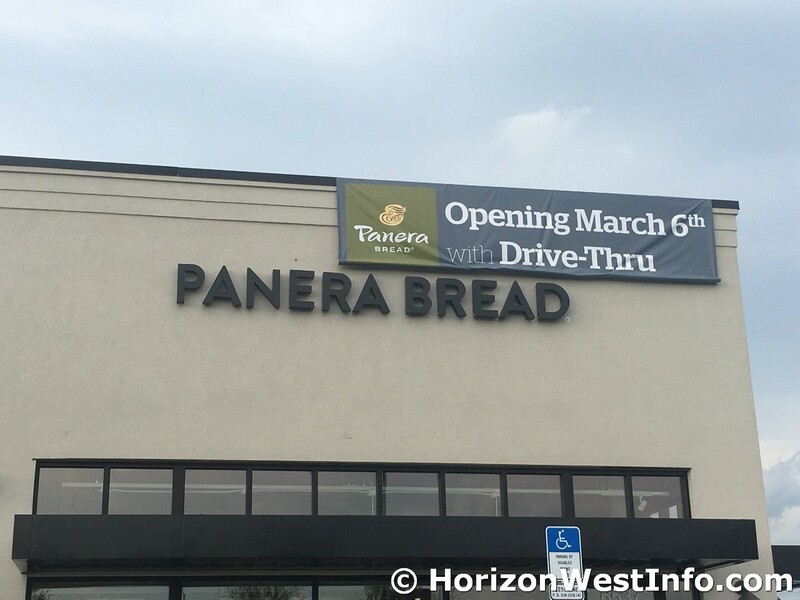 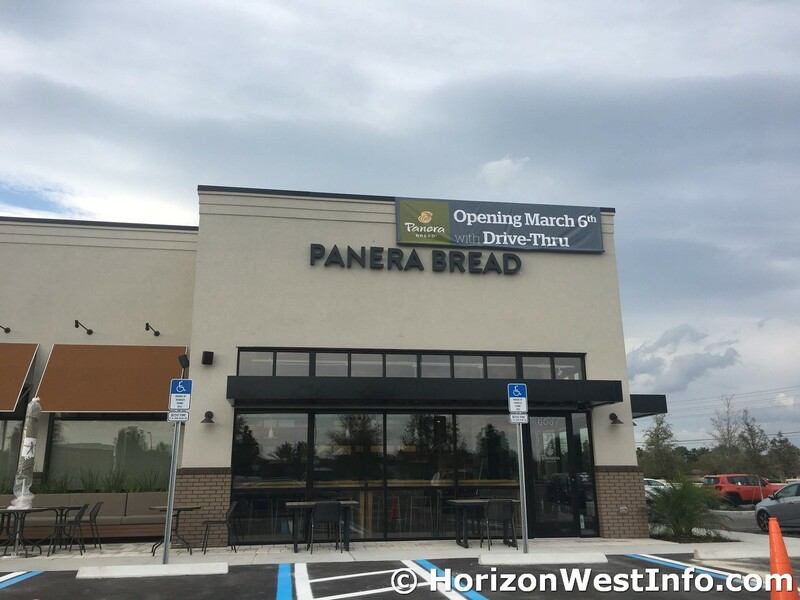 The new Panera Bread located at the Westside Shoppes in Lakeside Village will open on March 6, 2019. 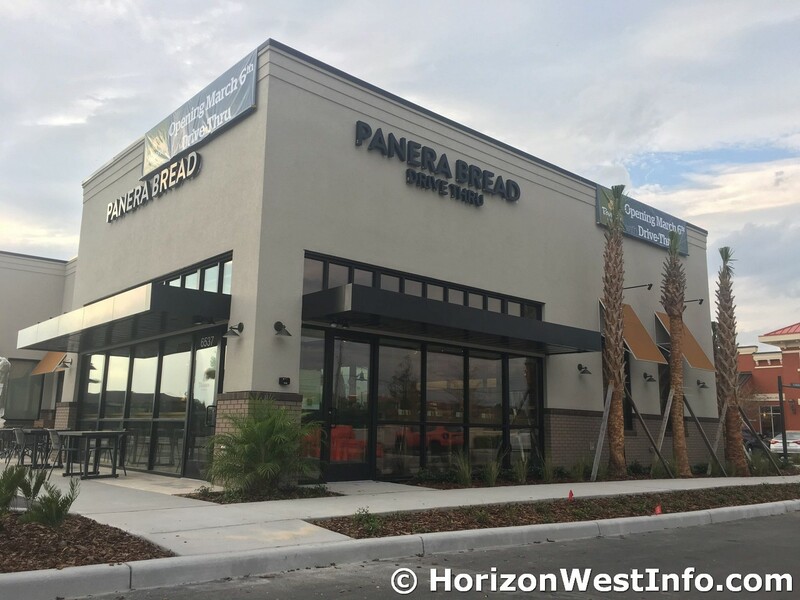 We reported last week that the building appeared to be completed and expected the location to be opening soon. 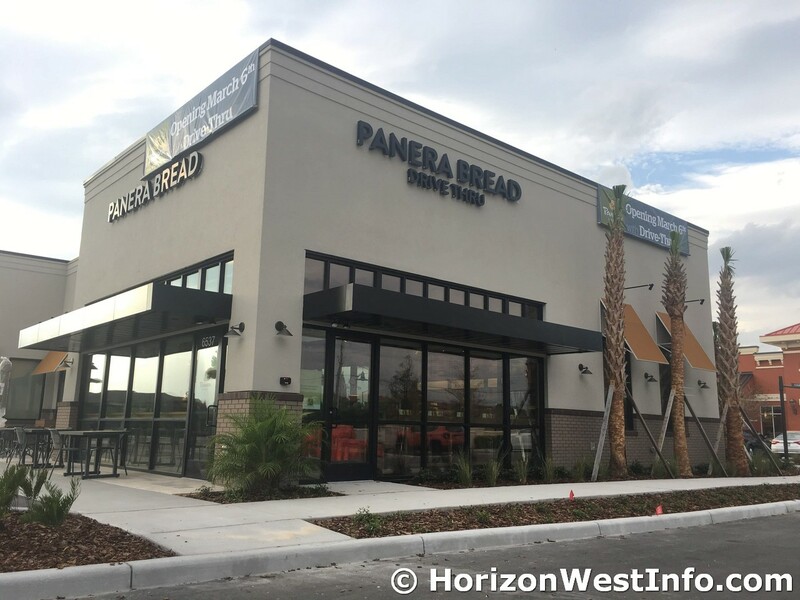 The new Panera in Horizon West appears to be ready to go, with menu boards up at the drive through and tables setup on the inside. 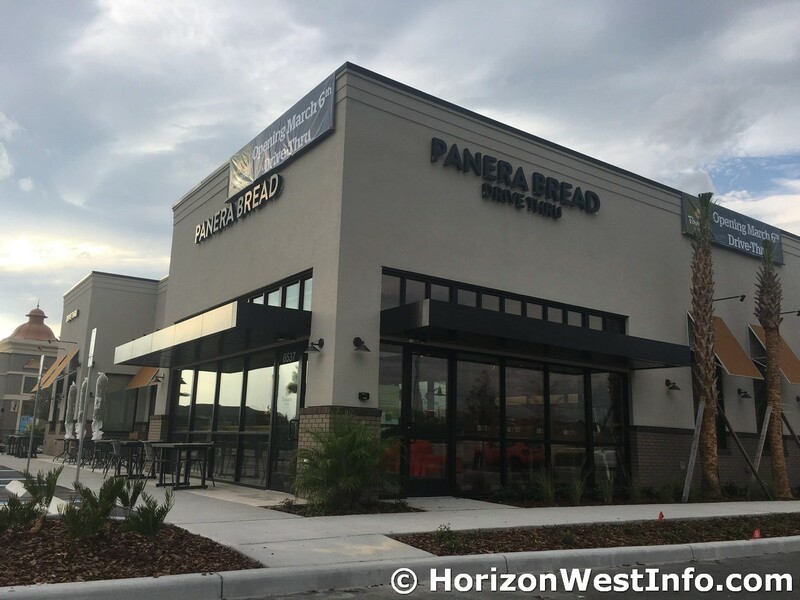 This opening nears the completion of the Westside Shoppes complex, which only has one small outparcel building left that is unoccupied.